and 12 grasses growing in the meadow all attracting a huge variety of insects. many Listera ovata, hard to spot among the grasses but an elegant member of the orchid family. spread the seed into an adjoining area. 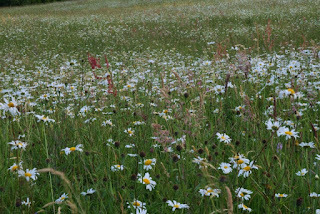 The meadow changes throughout the day as the sun moves round, it gleams in the evening light and is cris-crossed with shadows. 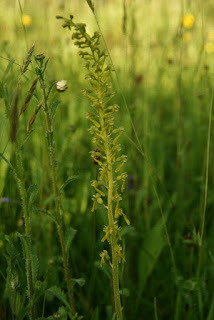 It hums with insect life and is full of butterflies flitting from flower to flower, a thing of beauty. 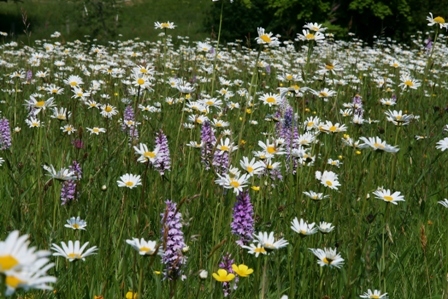 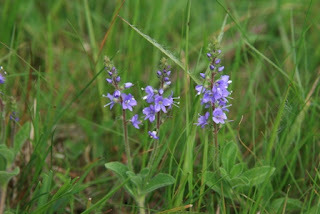 For more information on wildflower meadows see Plant Life, Magnificent Meadows and Kew.